The popular Antwerp museum relating the story of emigration from Europe to the US will be closed for the entire summer. The Red Star Line Museum in Antwerp closed last week for three months to undergo a renovation. Despite being a popular attraction for summer tourists, the museum wants its renovation to be complete by its fifth anniversary in September. The Red Star Line Museum showcases the history of the passenger ships that carried two million emigrants from Antwerp to the New World between 1873 and 1934. It opened in 2013 after eight years of planning and a complete renovation of the buildings in which it is housed – the shipping company’s former warehouses. Some structural works will be carried out, but the exhibitions will also get a bit of an update. Personal stories of some of the families and individuals who made the journey across the sea will be put more info focus. These stories will be told both through memories and objects carried by the passengers. Visitors will also discover what these newly arrived immigrants thought of their new home. The pilots’ room in the building is also being reformatted so that its multi-functional character is better represented. And the museum’s cafe will also be renewed. 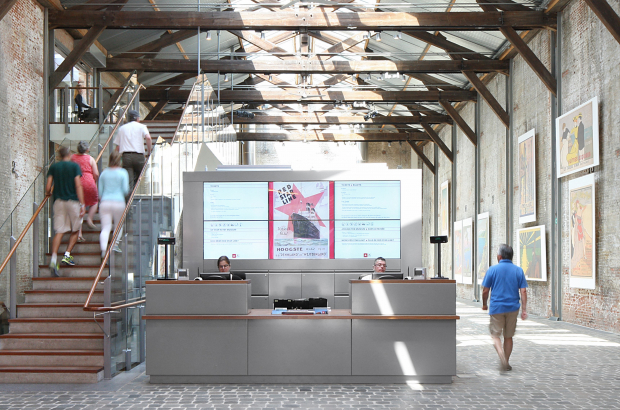 The museum will re-open on 21 September with a weekend party and the new temporary exhibition Thuishaven (Home Port), which looks at the history of migration into Antwerp.